In the current age of sequels, remakes, and reboots, it shouldn't be surprising to learn that Toho Studios announced the Godzilla franchise will be getting yet another installment. This is not related to the Gareth Edwards remake starring Ken Watanabe, Elizabeth Olsen, and Bryan Cranston that hit theaters back in 2014, but is set to run concurrently alongside the British filmmaker's franchise. Ever since Hollywood announced that Godzilla was to be resurrected, the expectation for another Japanese Godzilla grew. And if we were to newly produce, we looked into Japanese creators who were the most knowledgeable and who had the most passion for Godzilla. ... Their [Higuchi and Anno] drive to take on such new challenges was exactly what we all had been inspired by. Here is the first image released of Toho's upcoming reboot. Anno and Higuchi previously worked together on Giant God Warrior Appears in Tokyo, with Anno writing the script and Higuchi directing. Anno is an experienced animator who's most well-known directorial achievement is the anime series Neon Genesis Evangelion from the '90s, while Higuchi is known for his 2006 directorial effort, Japan Sinks. It should be interesting to see two Godzilla worlds coexisting simultaneously over the next couple of years. However, with Warner Bros./Legendary's Gareth Edwards-directed Godzilla just having hit theaters last year, Toho's Godzilla 2016 coming next year, and Edwards' sequel, Godzilla 2, hitting theaters on June 8, 2018, things may start to get clouded and crowded. Could it lead us to a monstrous American vs. Japanese Godzilla showdown? I think there's some potential. 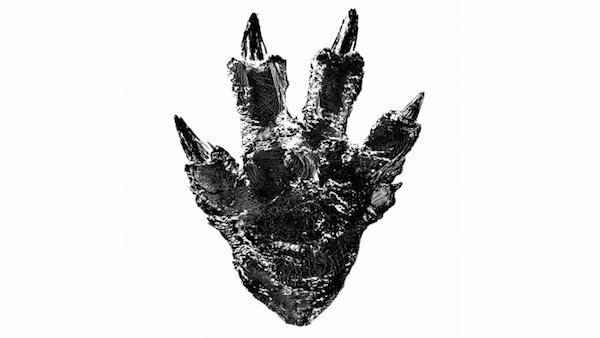 I don't know about you, but I think a Godzilla on Godzilla pic could be very cool. It almost seems, as global filmmaking continues to move front and center, that this may even be inevitable.